Click File at the top of your Outlook application. If this is a new Outlook install, click the Add Account button. 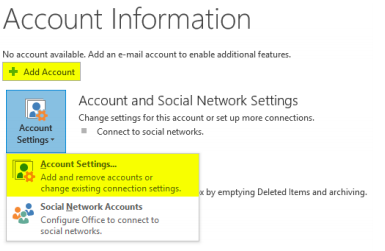 If you already have an email account setup, please select Account Settings and then New. On the new window, select Manual setup or additional server types and click Next. 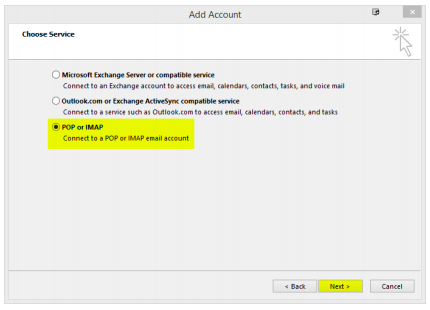 Select POP or IMAP and then click Next. Once you have filled out the above information, click More Settings. 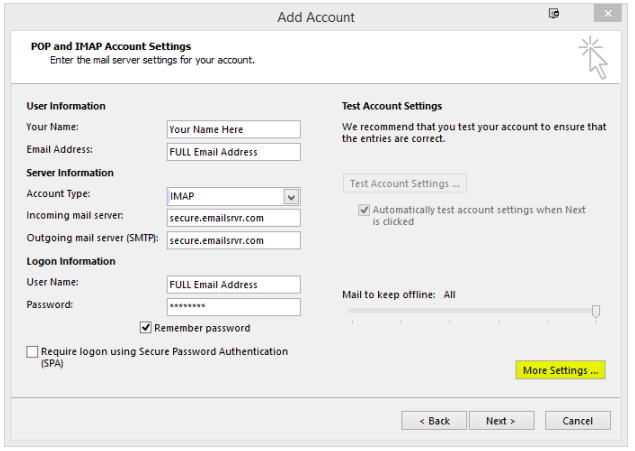 On the Internet E-mail Settings window, select Outgoing Server tab. Select the Advanced tab to set your server ports. Click the drop down box next to Use the following type of encrypted connection: set to SSL. Click OK when finished. This will bring you back to the original Add Account window. Click Next. 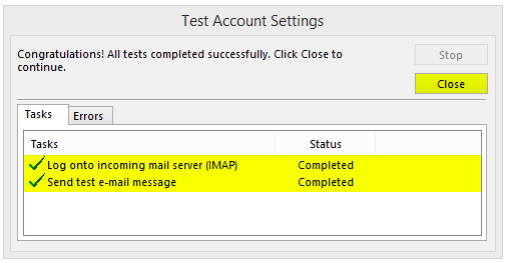 A new window will pop up entitled Test Account Settings. Allow this to complete. It should look like the window below.